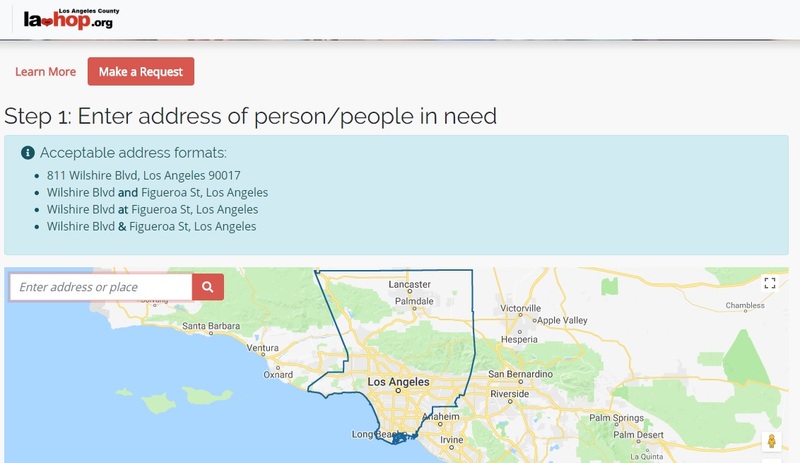 A first-of-its-kind online tool now helps address street homelessness in Los Angeles County. 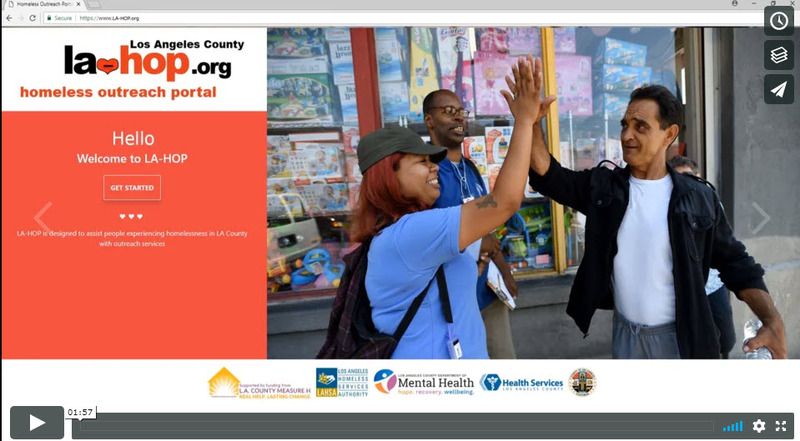 The Los Angeles County Homeless Initiative and Los Angeles Homeless Services Authority launched the Los Angeles Homeless Outreach Portal, dubbed LA-HOP. Funded by Measure H, the new mobile-friendly platform empowers members of the public, first responders and service providers to provide information on homeless persons on the street and request outreach. LA-HOP (la-hop.org) is a valuable new tool to get services to vulnerable residents living on the street. It makes it easier and more efficient for the public to request help and have it dispatched to connect homeless persons with outreach workers. The portal takes the guesswork out of figuring out geographic boundaries, by seamlessly routing requests and tracking the response. An outreach coordinator in each region serves as the “air traffic controller” for all requests and deploys the most appropriate outreach team, with the goal of reducing response times to those in need. The Countywide movement to prevent and combat homelessness is constantly seeking new approaches to deliver what’s working more effectively. LA-HOP is designed to advance efforts to help people move from homelessness to housing by activating the general public to become part of the solution. LA-HOP was designed by the Los Angeles Homeless Services Authority in collaboration with the Los Angeles County Health Agency and the Los Angeles County Homeless Initiative. Due to high demand, it may take a few days for an outreach team to be deployed; coordinators will prioritize those individuals who are most vulnerable. With nearly 40,000 people living on the streets of LA County, the need for outreach services is great. Outreach teams responding to LA-HOP requests also conduct ongoing outreach all across the County. The portal does not replace homeless encampment reporting protocols established by the City of Los Angeles (my311), the County of Los Angeles and other jurisdictions.